Our top-of-the-line laser engraved Premium Namebadges are stylish and lightweight. Badge is a smooth silver with laser engraved lettering in black for the ultimate contrast and readability. 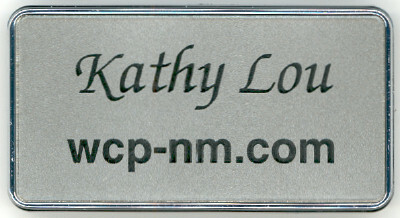 Namebadge is mounted in an attractive, shiny silver (plastic) frame and backed with an easy on/easy off magnetic attachment that will not harm your clothing. 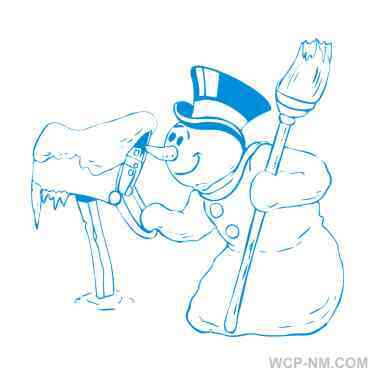 Overall size: 1-5/8" x 3". To customize your Namebadge order, simply fill-in the information (below) to be engraved on your Premium Namebadge. Company logos can also be engraved on your namebadge(s). Simply give us a call to discuss your needs and for logo instructions.